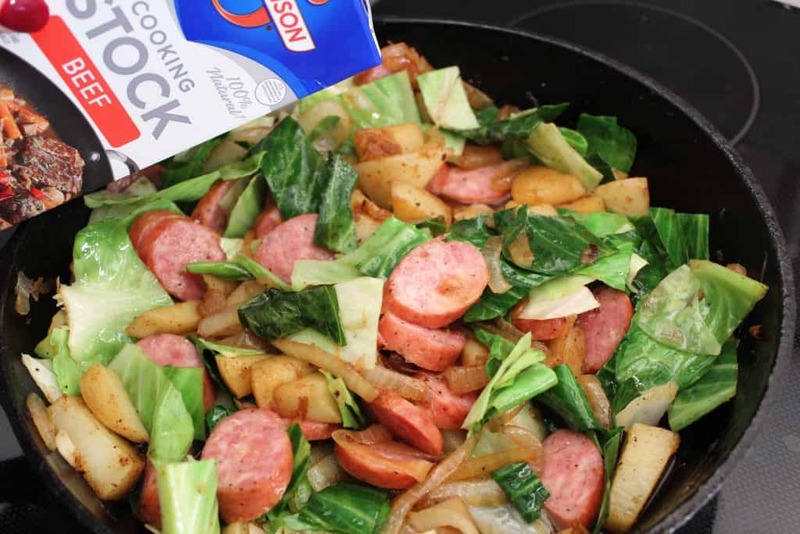 Pennsylvania Dutch Skillet Supper is not only easy and quick, but it’s a delicious and flavorful way to get your proteins, healthy carbs and vegetables. This combination of foods could be considered Pennsylvania-Dutch, Irish, German or just plain ole American. My family has had this on the weekly menu for as long as I can remember and our ancestors are French and Irish…go figure. 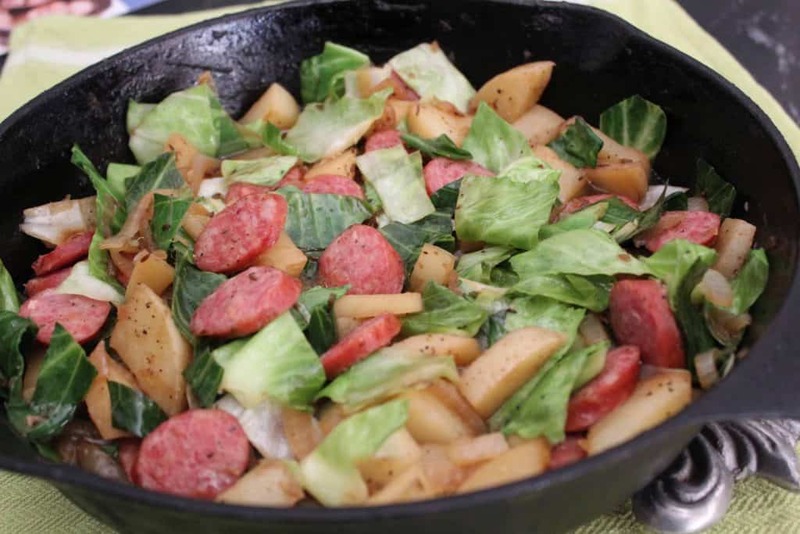 The beauty of this skillet supper is that it’s actually quite filling and cost efficient. 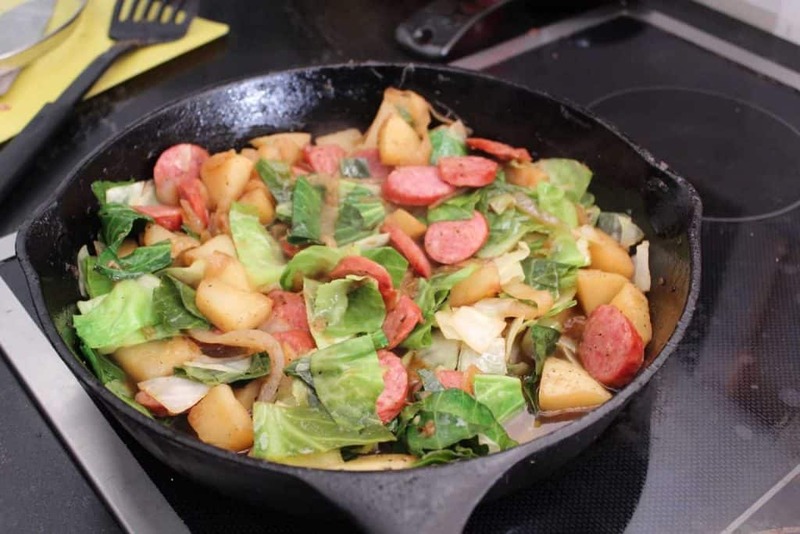 This recipe used 1/2 link sausage, one large Yukon gold potato, 1/2 small head of cabbage and 1/2 a large onion which provided four hearty bowls full of Pennsylvania Dutch Skillet Supper! 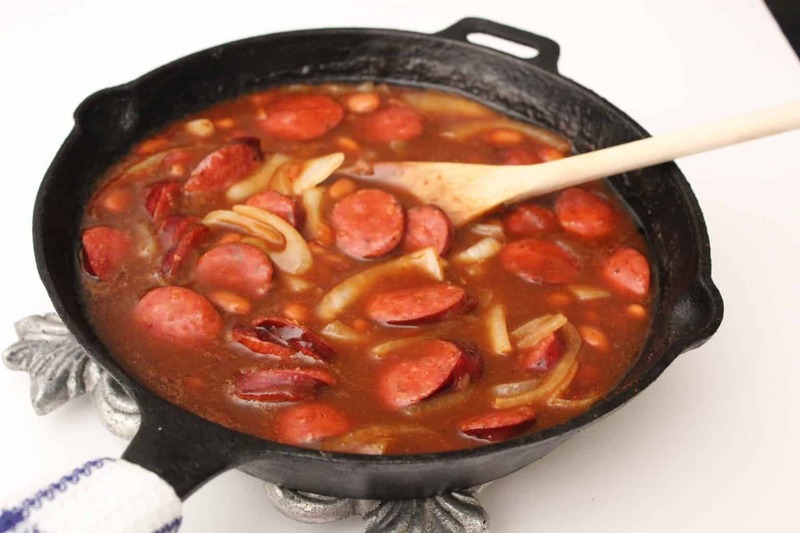 How Do I Make Pennsylvania Dutch Skillet Supper? 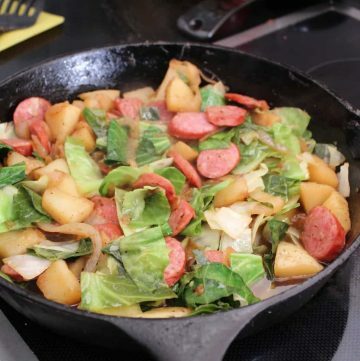 Saute onions, add in cabbage, potatoes and sausage; pour in a little beef or vegetable stock and allow to simmer until the potatoes are tender (about 20 minutes). 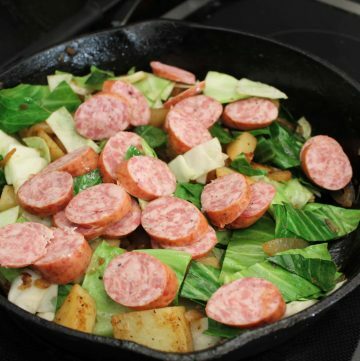 What Kind of Sausage Should I Use for Pennsylvania Dutch Skillet Supper? 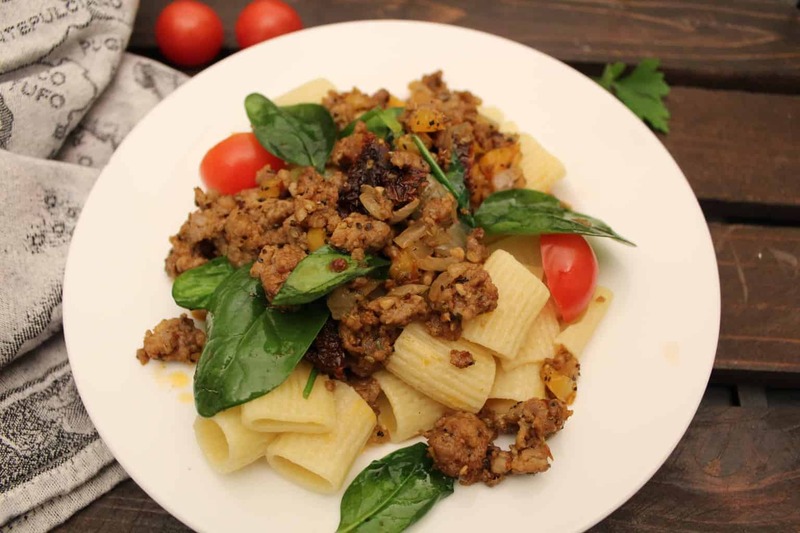 You can use beef, turkey or Keilbosa sausage for this recipe. Keilbosa is a Polish pork sausage; in the United States, we often refer to it as smoked sausage. 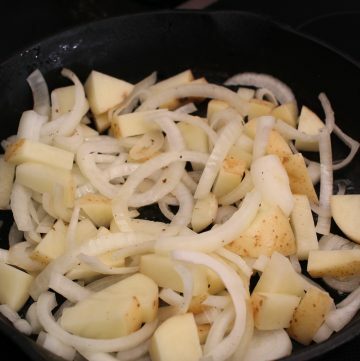 Can I Substitute Russet Potatoes for the Yukon Gold Potatoes? Yes, but keep in mind that this dish will simmer a little while and russet potatoes are less waxy and more fluffy than Yukon gold potatoes. When cooking potatoes in a dish like this (or a soup/stew), use a waxy Yukon gold or Red potato -they will not disintegrate under heat. Russets have a tendency to disintegrate, creating a thicker, potato-based broth. Don’t I Need to Cook the Sausage First? Generally speaking, smoked sausages and Keilbosa are already smoked and sealed in their packaging. 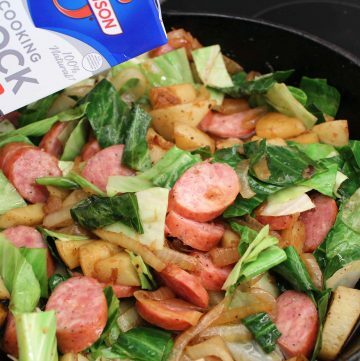 In this case, simply add the sliced smoked sausage to the skillet and allow it to warm up while the potatoes cook! 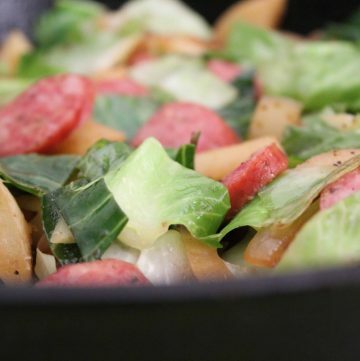 Smoked sausage cooked with onion, cabbage and Yukon gold potatoes in a beefy broth.